Let’s just say, the last few quarters have not been biotech superstar Celgene’s (NASDAQ:CELG) best couple of months. The biotech stock has been hit by wave after wave of bad news, stumbles and declines. So much so, that investors have wiped off a collective $40 billion from CELG’s market cap since October. Today, Celgene stock can be had for prices not seen since 2014. But that decline could be an opportunity. Celgene features a robust pipeline, a strong balance sheet and plenty of cash flow to get itself over its recent stumbles — not to mention, a valuation that is below many of its biotech and big pharma peers. For investors, the struggles are only skin deep at CELG. 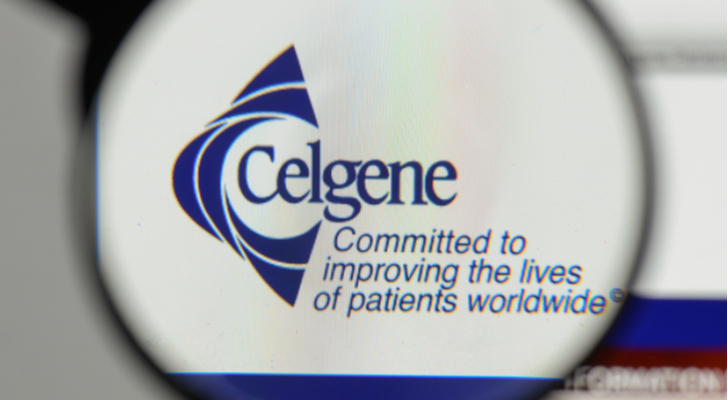 The problems for Celgene stock started back in the fall. The firm’s first failure came from the stoppage of Phase 3 clinical trials for its REVOLVE drug to treat Crohn’s disease. Strike two came when Celgene was forced to reduced forward earnings forecasts based on that stoppage and the fact that REVOLVE won’t be coming to market anytime soon. The problem is that Celgene is facing a potential patent cliff — pretty ironic for a biotech stock. Around 2022 is when its blockbuster drug REVLIMID will face generic competition. The cancer drug is widely successful and still provides the vast bulk of CELG’s revenues. So, it needs to fill that hole and stopping a key future drug doesn’t help turn the car away from the cliff. Neither does more clinical trial problems. At the beginning of March, Celgene was hit with another piece of terrible news. The Food & Drug Administration (FDA) rejected the biotech’s application for the approval of a key multiple sclerosis drug thanks to insufficient data. Ozanimod was, again, predicted to be a major blockbuster and help reduce future losses from REVLIMID’s patent loss. Needless to say, investors in CELG stock have not been pleased. Shares have cratered 37% since October and the first mishap with REVOLVE. But for investors, that drop could be a major opportunity to load up on CELG. For the one thing, Celgene stock has hit almost comically cheap valuation levels when compared to its peers. Right now, Celgene is trading at a forward P/E over the next two years of 7.6. This compares to a forward P/E of 11.2 for Gilead (NASDAQ: GILD), 10.4 for Biogen (NASDAQ:BIIB) and 12.6 for biotech statesmen Amgen (NASDAQ:AMGN). Heck, CELG is even cheaper than many traditional pharma stocks — which are facing their own patent cliffs. The Bloomberg Intelligence North American large pharma index is trading at a forward 2-year P/E of nearly 13. So, CELG is cheap. But a cheap valuation only gets you so far. There needs to be something behind that cheap valuation to justify buying the stock. And Celgene might just have it. For starters, CELG is still minting money. REVLIMID is still a huge blockbuster cancer-fighter and, because of that, cash flows and revenues at Celgene are still riding high. This year, REVLIMID is still expected to bring revenues of more than $9.4 billion — that’s a 15% jump over 2017’s numbers. That’s still a ton of revenue. On top of that, it still has other valuable money-making drugs in its arsenal that are still contributing to sales/cash flows and analysts expect the FDA to still accept CELG’s multiple sclerosis drugs after a refile. What that really does is continue to boost Celgene’s cash hoard. The biotech finished the year with $12.04 billion in cash on its balance sheet and managed to realize over $5 billion in cash flows during the year. That gives CELG a tremendous amount of firepower to essentially “buy” its way out of its current funk. Already, the biotech has taken steps to do just that. It’s recent buyouts of Juno Therapeutics Inc (NASDAQ:JUNO) and privately held Impact Biomedicines will go a long way toward boosting its pipeline in cancer and advanced CAR-T therapies. And the continued cash generation from current REVLIMID sales for another four years — estimated to be about $40 billion — will allow it to do more bolt-on acquisitions. The point is, Celgene still has a multitude of levers to pull before investors should be worrying about sales declines. While getting closer, four-years ’til the patent cliff really takes hold is considered an eternity when it comes to markets. And, during that time, CELG should be able to get its pipeline back on track. This long lead time and continued big-time cash generation could be why analysts have continued to keep their price targets for shares up — with high-end estimates coming in around $163 per share and the average around $135. That price target number is certainly doable. Celgene will continue mint money and build-out its pipeline. It’s really as simple as that. And it should be able to do it before it careens off the patent cliff. At a forward P/E of 7, investors are getting a huge margin of safety for that to happen. In the end, Celgene stock could be one of the biggest bargains in the biotech space and any weakness in shares could be viewed as a buying opportunity. The longer-term picture is still rosy. As of this writing, Aaron Levitt was long CELG and GILD. Article printed from InvestorPlace Media, https://investorplace.com/2018/03/despite-struggles-celgene-stock-buy/.